Kenny Dixon Jr. (KDJ) a.k.a. 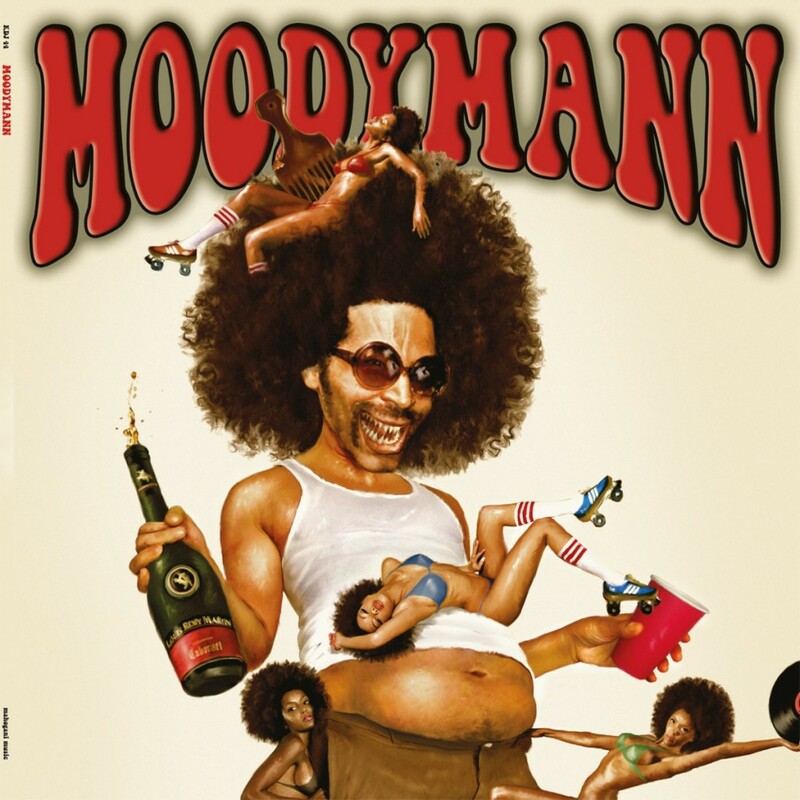 Moodymann lives, celebrates and produces the groove since the early 90s. He is one of the producers who are able to combine almost all relevant perspectives of dance music genres and bridge the past with the future. Vinyl copies of his new album “Moodymann” pretty much evaporated touching the shelves so the eponymous album has finally seen an inflated digital release with 27 tracks from jam-sessions at night in his studio. KDJ’s approach to music was shaped in the early 80s when Charles Johnson, better known under his moniker Electrifing Mojo, introduced him to names as Prince, Kraftwerk or the B-52’s. Playing music at that time had no boundaries so everything that was good from Soul, Funk, Detroit Techno, Hip Hop, House, Disco, Rock or Pop was blended together. Based on such a musical background, KDJ has no reservation against playing and mixing different genres which can be also witnessed at his inspiring DJ-Sets. His signature sound makes frequently use of short samples that are uniquely revised in his own style to tweak the essence of the originals. The groove is always omnipresent with husky voices and intense basslines. The digital release of the album includes also KDJ’s remixes for José James and Lana del Rey as well as the timeless 5-10 years old dance floor rest “Freeki Muthafucka”. New stuff as “Come 2 me” is constructed around a groovy Afro beat sample with vocals of Nikki-O which is also represented at the slow jam “Watchin’ U”. Andrés contributed the beats for “Lyk U Use 2” that evolves to a massiv soul tune with hit potential. Here and at other tracks you can listen KDJ himself on the microphone with his lascivious and husky voice. Pure dance floors pleasure with a typical Moodymann beat can be found at “No” and at “Sunday Hotel” that combine old school and new school elements. “Sloppy Cosmic” tops off the compilation with its 12 minutes funk jam session recorded live few years ago together with George Clinton, Parliament, Amp Fiddler and Funkadelic at a festival. In any case, one thing is for sure: Moodymann’s own interpretation of the groove is still top of the game with streching boundaries beyond and weaving together funk, soul, hip-hop, jazz, R&B into a rich and inspirational collage.